Women have always done it, unrecognised, hidden. And even once allowed, we deny it, because being allowed in itself takes something away. Who offers the permit, and do I want it anyway? I may continue in secret. No-one will know, either way. rewind until I can hear her screaming at me, until she’s grasping my wrist, and I’ve done something wrong and I don’t know what still don’t know, and her breath smells and I look up into her eyes and know that I’ll never be right so I need to vanish. I stand still, her bone-witch fingers surrounding my wrist, and as she shouts down at me I can’t move. Tell me it will be okay, but there’s no-one else but me and her and brick by brightly coloured brick I build until I vanish. I’m gone where she can’t touch me anymore and that’s when I find my room. Ten years on, my room has materialised. I learned to read and a door opened into somewhere I never knew existed. I can retreat until I don’t hear the screaming anymore. And when I’m all wrong, don’t fit it, don’t get the joke, can’t play with us, my room’s still there, where I can’t be touched. John Peel’s on the radio, though, and I believe that somewhere there’s a way out. In time, I discover that I was right, and I pretend the room’s gone. I watch as the sky fades, blue, green gold, to darkness, setting sun, silhouetted trees and chimneys. I’m in the attic, real room of my own. Mismatch thrift shop furniture and peeling wallpaper spell freedom. Rent paid, I can enter and leave when I want. I lie on the worn grey carpet and reward myself for each page I write, each sunset I paint. At night we drink and smoke and dance and the music’s louder than my heartbeat, until the sky lightens from navy to turquoise again. Milk fresh on the doorstep, we stumble back indoors. And later when I’m heaving the night into the toilet, my t-shirt clings against my skin, and I go to my room, but I’m not telling anyone. I creep in, furtive, would never tell, never share, can’t admit that the room’s still there. I’m spent, another night, red wine in jugs you can’t tell how much you drink and we were laughing so hard my throat’s sore and my ears still hear the music and now it’s all stopped, and I’m chilled, skin clammy, but inside my head is quiet and I’m not dangling on the edge of madness, won’t see a counsellor, see her, won’t see her again. Another ten. I’d get up if I could but the gap in my symphysis pubis is too large, and the baby stretches my belly, I’m seventeen stone at my biggest, and my mind has slowed like my steps. The sun shines in, cats rolling on the golden carpet. My world has titrated down to one room, can’t diminish any further, but it’s not the room I was thinking of. I’m never alone, and it’s eating me and I want to be one, own, me, gone, and the drugs take the edge off and gradually I claw back a tiny place that’s my room. I can sit still, feed the baby, watch birds in the garden and think. There’s something new, though, and it glows green as I realise I’m not allowed to be alone. Maybe the end should have been when I delivered the baby, but I’ve found that’s not an end. And now, behind a barrier of books, I am rebuilding my room, stealing back moments to write. My desk is tall, broad, blue-stained, grain of the wood still visible, family photos backdrop my thoughts. Does time need to be scarce so I write every word? What I liked best about this book was how it looked at identity, in particular the identity of those who live in London but aren’t from England. The missing actress Iolanthe is American Irish, or is she? And who is Yolanda Green? We learn more about her identity as the story unfolds. The detective in charge of her case, Brennan hayes, who also goes by Barnaby, is of Irish origin but hides it in order to progress in the police force. The café owner, Ottmar is an exiled Turkish Cypriot, who left his dreams of being a poet behind when he fled. He wrangles with life in London and what it is doing to his family, in particularly his sixteen year old daughter Samira. Then there’s Aloysius, a young black accountant from Jamaica who aspires to be middle class and English. And Anna, quiet Anna who has no life outside her work as a theatre dresser, well, Anna’s identity gradually reveals itself as the book progresses. She does a great job of conveying the wishes and dreams of the different characters, even those that they can’t say out loud. And, like with all good stories, in the end the characters find their own resolutions, if not in quite the way they might have thought. Miss Treadway & the Field of Stars is out on 12 January and costs around £12.99 hardback, £7.99 Kindle. The Easy Way Out It’s easy to have a view on issues like euthanasia, until they actually affects you. Ewan has been working as a nurse all his life, and now he’s drifted into a position where he is an assistant in assisted suicides. He’s fine about the job, he really is, until it starts affecting him after work. He’s in denial about his father’s death, and can’t face the fact that his mother, Viv, who has Parkinsons, may be facing death soon. The pressure piles up, and Ewan’s thoughts about assisted death start to become more complex. Set in a very imaginable near future, this is a well written book that uses fiction to explore the difficult idea of assisted death. It’s written by a palliative care nurse, and that shows in the insightful analysis. It is, despite the difficult topic, very readable, and I read it in a few nights, gripped to keep on going right until the end to find out what Evan finally decides. If you say tomber en amour to a French(wo)man, s/he/they/we may start looking for holes. I ’ve been reading. 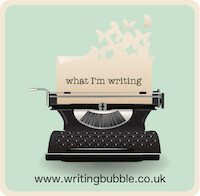 Not writing really, because the kids have finished school and we’ve been to Cambridge, and stayed on a barge on the Suffolk coast and, actually, I spent most of June trying to get ahead with work. So, no writing, but I have pledged to read a book a day on any of the free days we have this summer. The kids have reached an age where they occupy themselves for a while, and I think there are plus points of backing off and letting them get on with it. Inspired by Maddy’s books from her bedside table, this is a little about the books I’ve read in the last couple of weeks. There is some sort of theme – health, medicine, science, told through people’s stories – though I picked the books very much at random. One was a gift, another was sent to me for review, the third I ordered after reading about it online, and the fourth was one I pinched from my daughter as I had run out of reading material when we were on the boat! The first book is The Immortal Life of Henrietta Lacks by Rebecca Kloot. I didn’t know anything about the subject, but I was interested because the book aims to draw out a personal story from science, the story of Henrietta Lacks whose cells were the first to be successfully grown in a lab. The cells which originated from a cancerous growth on Lacks’s cervix continued to grow successfully. They have been used on an ongoing basis for medical trials and tests ever since they were first cultured in the fifties. Rebecca Kloot is a science writer and was a student when she first delved into Henrietta’s untold story. Medicine has a habit of anonymizing its subjects to protect them, but in this book Kloot tries to uncover a more about the woman behind the cells. It is clear from the book that being poor and black in the fifties meant that families like the Lacks family were wary of doctors, and well aware of stories of people being used in medical tests without their knowledge or against their will. And in some ways, that applies to Henrietta. She didn’t know that her cells were going to be taken and used in the way they were – and it seems that the doctor had no idea just how the cells would succeed and grow either. Henrietta died soon after her cells were taken, and her family had no idea what had happened, although snippets emerged over the years as researchers contacted them, leaving them with a feeling of unease and fear. Rebecca Kloot made a commitment to uncover as much of the story as she could, and she developed a relationship with Henrietta’s daughter Deborah. The book is a dense read which took me a couple of weeks. Kloot does a good job of covering as much of the history of the family, of Henrietta herself, and also puts this into the context of in vitro cell research as it developed in the latter half of the twentieth century. I think it is important that people’s stories are told, and though out the book you can really feel Deborah’s passion to find out about her mother. By the end of the book, though, Deborah has died. Henrietta Lacks died in 1951. Incredibly, her cells are still being used in research today. They live on, and so does Kloot’s story. The second book is Baby X, by Rebecca Ann Smith. 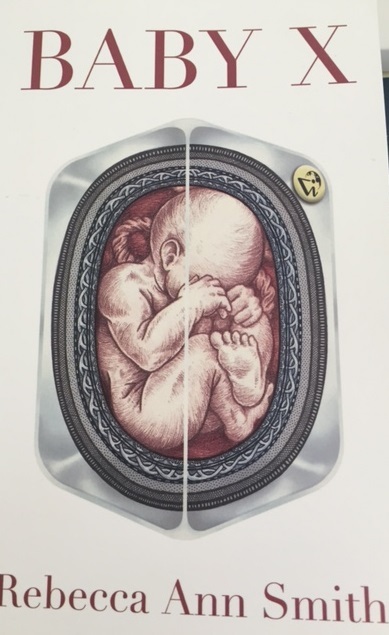 I’ll be writing more about this later in a review for the Contemporary Small Press Blog, but to sum up, this book looks at a near future where a baby is growing in an artificial womb. It personalises the science by telling the story through the voice of three women – Alex, the lead researcher, Karen, the ‘mother’ of Baby X, and Dolly, an assistant in the lab. (Dolly – wasn’t that the name of the first cloned sheep?) I write ‘mother’ in quotes, because Baby X has been created with a donor egg, and is growing in a lab. Issues of parenthood, of motherhood are raised by this book. I read it all through in a day, and I wondered if it was going to be a little slow, but I was gripped within the first few chapters. Smith unravels a complex story in a clear manner, and succeeds at taking us back and forth in the time line, from conception to present day to future investigation into the project. There is a mystery to unravel, and one action that appears to be the crime, while in fact another crime has taken place that is gradually exposed through the book. There is always a challenge in melding science and story: the science must underpin the story unobtrusively. I probably have a greater interest in the science and medical part of the story than most people, but I’d say that Smith has the balance right. 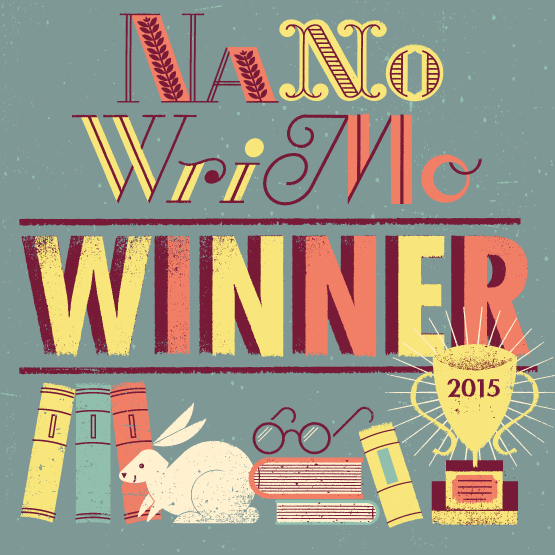 She has created a gripping story, in a world that isn’t too far from our own. I stumbled across Will & I, by Clay Byars in an article, How Clay Byars battled paralysis to finish his memoir. Despite the tabloid style title, the premise interested me – a first person story, Clay writes of his experiences since having a stroke aged twenty, one that should have killed him. The stroke occurred as a result of surgery to deal with a problem with one of Clay’s arm, which arose after a car accident. The book is written in a gentle style, mixing snippets of Clay’s current life with his past experiences. It has taken him around fifteen years to write, perhaps unsurprising considering the traumatic nature of what it addresses. I’m always interested in people telling their own stories of how they have fought back: remarkably Clay lives with his dogs on a remote farm, despite still having issues with walking and limited use of both arms. 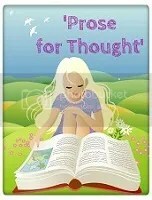 The other aspect of this book which is indicated by the title, is that Clay has a twin, Will. I would have liked to know a little more about their relationship – Will is a fairly shadowy figure for much of the book, but maybe it’s right that Clay can only write his view. As indicated in the LitHub article, there are elements that resonate with Paul Kalanithi’s When Breath Becomes Air, but of course there are differences: put harshly, Kalanithi died, Byars has survived. Both, though, give us a chance to see life through someone else’s eyes, in a way that makes us appreciate the value of what we have. My final book is the one I borrowed from my daughter. I’m sure you’ve been there – on holiday, time to relax, but you’ve read all your books. I borrowed Extraordinary Means by Robyn Schneider. In the near future (as per Baby X), a new strain of TB emerges, one which is resistant to all known treatments. In a throwback to the last century, those with the condition are sent off to live in communities where they can’t infect others while they recover – or die. The book tells the story of teenager Lane who is sent to Latham House. He makes new friends, and in facing death decides to truly make the most of his life. 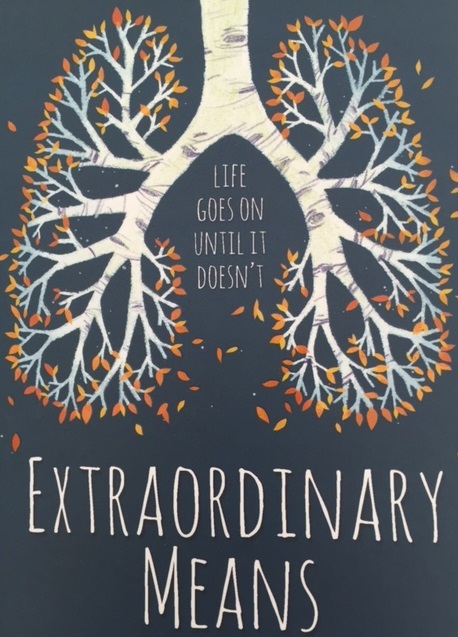 As YA books go, this is fairly standard: boy meets girl, with the quirk of everyone having a potentially life threatening illness. We even get the stats: four out of five kids leave Latham cured. Which of Lane’s new friends – Nick, Sadie, Marina and Charlie – will get to go home, and will life ever be the same if they do? 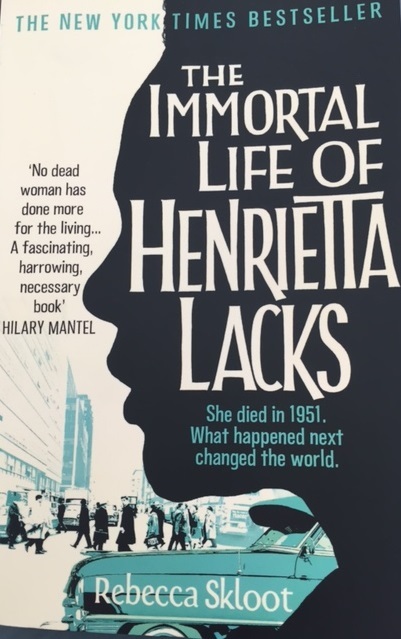 The plot was good enough to keep me reading, but I think again, as with Baby X and The Immortal Life of Henrietta Lacks it’s the way that the science was dealt with that makes this book worth recommending. There is a great end section with an accurate history of the development of treatments for TB which I imagine 90% of teen readers will skip! It also details how Schneider, a bioethicist, came to write the book- she came up with the idea while sitting in a Cinema of Contagion class! So, there are a number of threads that tie these books together. Science through personal experience, fact or fiction, is one strand that links them. Another, though, is that they are all books that I would like to have written, all books that speak to what I am writing. 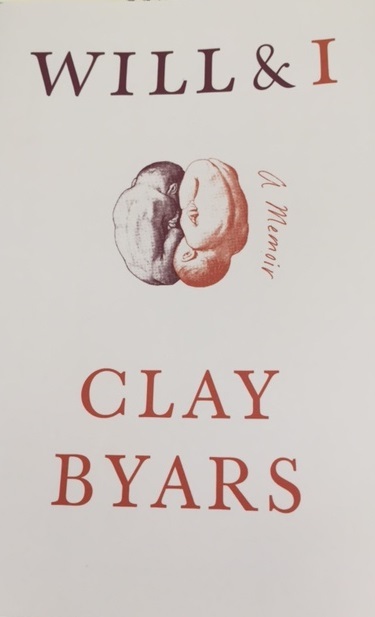 Clay Byars is brave enough to take his personal experience and write into it. 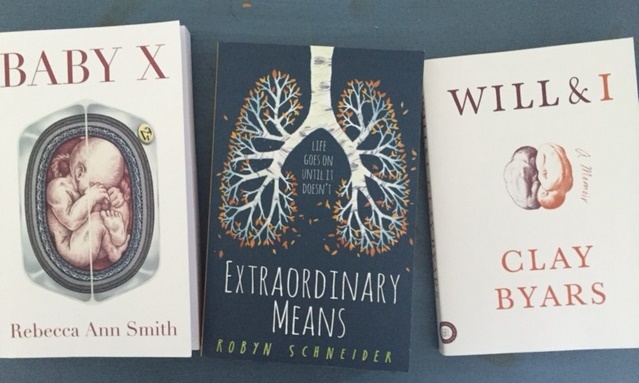 Robyn Schneider and Rebecca Ann Smith both create fiction from fact, and while Rebecca Kloot remains on the side of non fiction, it is creative non fiction that tells someone’s story. Looking at the books as a whole inspires me to keep writing and researching in the hope that at some point someone will be gripped by the story I have written too. Last year I did an exercise for my experimental writing class that turned into a poem. I posted each stage of the work on the blog, and there were probably seven iterations just at that time. Since then I’ve revised it, read it to my writing group, submitted it to a competition, revised it, read it out loud, and done a very different version inspired by a call out that wanted poems of 14 lines or less. I think I thought I’d finished it last year, but I obviously hadn’t. The longer I write the more I have these messy, unfinished projects, the greater the number of poems that could become something else. And they take up a tiny part of my brain all the time. I’m working on a different novel now, but at some point I want to revisit the first one and wrangle with it once more until the story starts and ends in a place that compels others to read it all through. I’m just not sure how to find time to do that, or whether I have to let it go and say it was a learning experience – which it was – and it’s a novel that’s not going to be published, and just move on. What do you do – how do you know when something is done? Do you have projects that you can discard? And do you find it easy to find an end for your work? This has been a tough week, one of the hardest I can remember. I haven’t written anything, so am going back to a version of something I wrote for my dissertaton that part-way expresses how I feel. Phrases straggle across the screen. I have no time, no paper. I need a new laptop. You can’t write this for me. I’m not in the right mind-set. I can’t write when it’s winter. I can’t write with you. Can’t say it when I call. I can’t walk, can’t leave, can’t think, can’t share this, can’t update my Facebook page.